Jelly Telly is a great subscription service with some of the best Christian television and movies available. It’s a Netflix-style streaming service for your phone or computer. Apps are available for iOS, Android, Roku and Amazon devices, and once you’ve subscribed, all the content is unlimited! Subscription prices are low, too, at less than $5 a month. There is a 7-day free trial once you subscribe. TV Programs and movies include Veggie Tales, Buck Denver Presents: What’s In the Bible, Micah’s Super Vlog!, Owlegories and more! Jelly Telly also has a helpful parenting blog and content that covers technology, general parenting and other content. 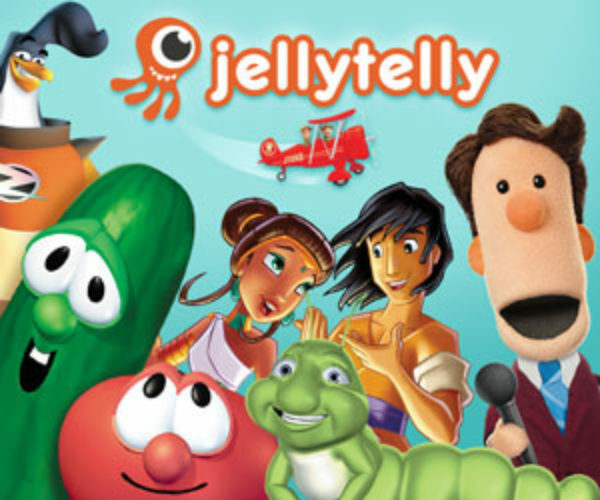 Jelly Telly is probably ideal for pre-elementary aged kids. If you’re sick of letting your younger children watch Paw Patrol, consider checking out Jelly Telly!